"A PI-powered #Plan9 cluster, an #SSH tarpit, rdist for when Ansible is too much, falling in love with #OpenBSD again, how I created my first #FreeBSD port, the Tilde Institute of OpenBSD education and more." Contributed by Paul ʼWEiRDʼ de Weerd on 2019-03-21 from the shire lease dept. Due to an earlier (pre-737Max) airplane problem on the flight back from n2k18 in Usti nad Labem, a loosely worded compensation coupon and the cooperation of beck@ in exploiting said wording, I was able to fly Business Class over the Pacific and thus arrived well rested in BNE. Could have been even more rested if I hadnʼt had to rouse myself to raise a(nother) glass of champagne as we crossed the date line and it became someoneʼs birthday. First world problems. The alert reader will have noted that BNE is not where a2k19 was. But beck@ and I had decided to personally drag various Australians onto the flight to Wellington the next day. Contributed by Peter N. M. Hansteen on 2019-03-10 from the table of the man dept. I just released mandoc-1.14.5. This is a regular maintenance release. As structural changes are quite limited, i expect it to be very stable, so all downstream systems are encouraged to upgrade from any earlier version. Contributed by rueda on 2019-03-06 from the do devices hotplug counterclockwise down under dept. Better (very) late than never… hereʼs my small report about my a2k19 hackathon slacking time in Wellington (NZ). The "Antipodean" hackathon they call it. Indeed, it took me 28h to get there from Paris via Singapore! Fortunately, I met with phessler@ and cheloha@ right on arrival at the airport. From there we went directly into town to visit the different bars with mlarkin@ as our guide :-). Contributed by Sebastian Benoit (benno@) on 2019-02-26 from the token dept. SSH is an awesome tool. Logging into other machines securely is so pervasive to us sysadmins nowadays that few of us think about whatʼs going on underneath. Even more so once you start using the more advanced features such as the ssh-agent, agent-forwarding and ProxyJump. When doing so, care must be taken in order to not compromise oneʼs logins or ssh keys. Contributed by Paul ʼWEiRDʼ de Weerd on 2019-02-27 from the time flies dept. Itʼs that time of year again; Theo (deraadt@) has just tagged 6.5-beta. A good reminder for us all run an extra test install and see if your favorite port still works as you expect. Contributed by rueda on 2019-02-23 from the Virtually Problematic Njetworks dept. Contributed by rueda on 2019-02-23 from the all your returns are belong to us dept. This extends the previous work to cover even more cases which (previously potentially) could be exploited as return instructions. Contributed by Peter N. M. Hansteen on 2019-02-19 from the ffwd all the vlans dept. Two years ago we observed that vlan(4) performances suffered from the locks added to the queueing API. At that time, the use of SRP was also pointed out as a possible responsible for the regression. Since dlg@ recently reworked if_enqueue() to allow pseudo-drivers to bypass the use of queues, and their associated locks, letʼs dive into vlan(4) performances again. Read the whole thing here: Faster vlan(4) forwarding? Contributed by rueda on 2019-02-11 from the diving-into-base dept. The "Security" section on the GitHub site contains a description of openrsyncʼs use of OpenBSDʼs security features. At the time of writing, rsync is not yet linked to the build. "This program opens a socket and pretends to be an #SSH server. However, it actually just ties up SSH clients with false promises indefinitely"
"A kernel of failure, IPv6 fragmentation vulnerability in #OpenBSD ’s pf, a guide to the terminal, using a #Yubikey for #SSH public key authentication, #FreeBSD desktop series, and more." In bed, too early to sleep so decide to watch a film. Too lazy to go fetch my laptop. And watch the film on #VLC on me phone. 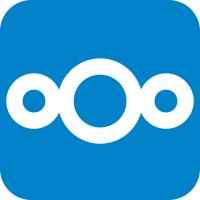 If I hadn't been on the same #LAN I would have copied the file into my #Nextcloud directory and synchronised from there. All the apps mentioned available on @fdroidorg. In #Germany we have such bad mobile internet connections, you can't even work on a server with #SSH, we are literally the use case for #mosh and #screen on #Linux. Вот это весьма интересно. Один (одна, если быть точнее) активных коммитеров FreeBSD написала статью про разработанный ею фреймворк по защищённому хранилищу с многофакторной (до 5FA !) авторизацией доступа и как она до такой жизни дошла. Bounce through the network with SSH tunnels and proxies. Take your remote system administration skills to the next level with our practical SSH examples. 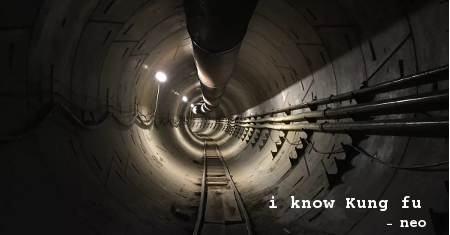 SSH examples, tips and tunnelsPractical SSH examples to take your remote system admin game to the next level. Commands and tips to not only use SSH but master ways to move around the network. In the above example ssh configuration file you can see that there are two Host entries. The first is a wildcard denoting all hosts have the Port 2222 configuration option applied. The second says for a hostname of remoteserver as seen on the ssh command line - use a different username, port, FQDN and IdentityFile. Donʼt forget the difference in the port parameter. This is a gotcha that hits everyone using scp on the command line. The port parameter is -P not -p as it is in the ssh client.!. You will forget, but donʼt worry everyone does. Hot Tip: Using remote desktop from Linux to Windows? Try the FreeRDP client. A more modern implementation than rdesktop with much smoother interaction. Boom! Layer three VPN through an SSH tunnel. Now thatʼs winning. A neat trick that compresses a folder using bzip2 (thatʼs the -j in the tar command), then extracts the bzip2 stream on the other side creating a duplicate of the folder on the remote server. Using sshfs - an ssh filesystem client, we can mount a local directory to a remote location with all file interaction taking place over the encrypted ssh session. localhost:~$ ~C ssh> -h Commands: -L[bind_address:]port:host:hostport Request local forward -R[bind_address:]port:host:hostport Request remote forward -D[bind_address:]port Request dynamic forward -KL[bind_address:]port Cancel local forward -KR[bind_address:]port Cancel remote forward -KD[bind_address:]port Cancel dynamic forward ssh> -L 1445:remote-win2k3:445 Forwarding port. Oh! A new record. 338 IPs blacklisted by fail2ban. And you can do it now, too, with free and open source software. Als erstes sollte man überprüfen ob es eine neue #Kernelversion für eure #Linux Maschine gibt. Wenn es einen neuen #Kernel gibt und wen man diese direkt installieren möchte kann man das folgende Kommandoabfolge benutzen und es in der #Shell oder über #SSH als #root durchlaufen lassen. Anschließend muss man, wenn man gefragt wird, alle Fragen mit „J“ also einem Ja beantworten. neu starten. Beim Hochfahren zieht sich der Rechner/Server die neuste Kernel Version und man kann anschließend den alten Kernel mit folgender Befehlsabfolge löschen. Natürlich erst wenn man festgestellt hat das alles ordnungsgemäß läuft. @thomas Completely agreed, even when the more common reason to change the port is, that your logs contain less failed attempts. But there are also solutions. blocklist-with-ipset - Create an ipset based blocklist imported from an text file (automatically downloaded from e.g. blocklist.de. Multiple Sources at once supported).